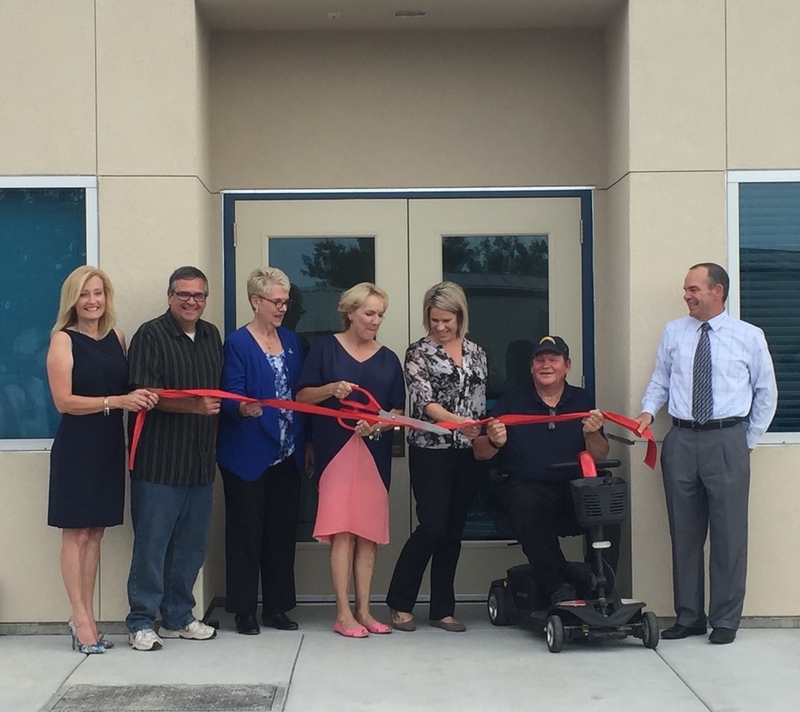 Waterford, CA – The addition of a new building in the Waterford Unified School District will support learning and create much needed relief on existing facilities at Lucille Whitehead Intermediate School (LWIS). The joint administration and library building had its grand opening on July 12th, with a ribbon cutting and guided tours through the nearly 3,000 square foot facility. “This project started over three years ago,” stated district superintendent Dr. Don Davis, “the board wanted a dedicated library, office and faculty workroom on the intermediate school campus.” Prior to the new building, the school used classrooms to accommodate these needs. According to Davis, the vision was to build this facility as well as a public restroom at the high school stadium, but the cost of construction was too high to complete both. The decision was made to dedicate the resources needed for this building and serve the students, staff and parents at LWIS. The district is pleased to have the new facility up and running for the opening of the 2018-19 school year in Waterford, which begins August 13th.